China were guilty of some calamitous defending in their Asian Cup defeat to Iran, after which Marcello Lippi confirmed that he would not extend his coaching contract. INTERNATIONAL FOOTBALL NEWS - China are looking for a new coach after Italian World Cup winner Marcello Lippi left following the team's meek quarter-final exit from the Asian Cup. The veteran leaves China ranked 76th in the FIFA rankings, level with Belarus and a spot below Uganda. 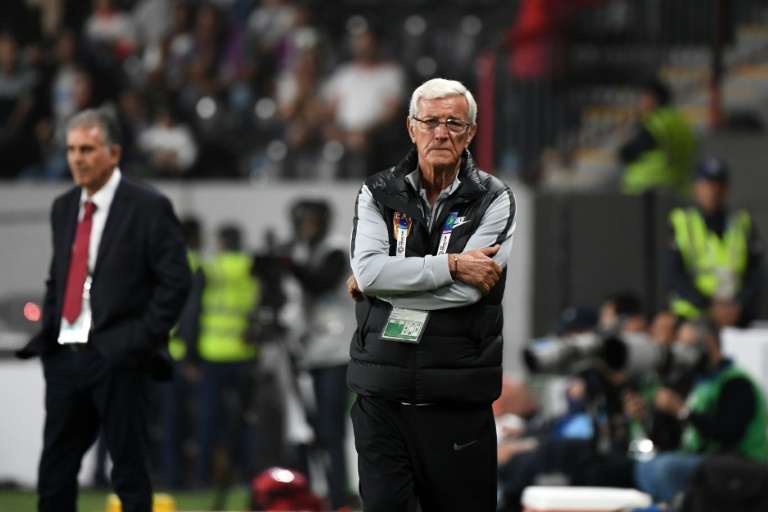 Lippi's side was guilty of some calamitous defending in a 3-0 defeat to Iran in Abu Dhabi, after which the 70-year-old confirmed that he would not extend his contract. As the Chinese Football Association (CFA) goes in search of Lippi's successor, AFP identifies five major challenges that the new coach will have to confront. The new man will take the job with pressure coming from the very top. Chinese President Xi Jinping is a known football fan and has pledged to make the country a major force in the sport. The government is throwing resources at developing grassroots and youth football, but any payoff is likely to be years down the line. It is hard to overstate how fed up Chinese fans are with their football team, which has long been lambasted as a national embarrassment. Successive 0-0 draws late last year, against Bahrain and then home to India, saw hysterical calls for the team to be disbanded. The defeat to Iran was greeted with more measured tones, underlining how low expectations have fallen. Fans are similarly unimpressed by the CFA, a deeply traditional organisation that the new coach will have to find a way to work with. That will be especially challenging if the coach is again foreign, and thus unlikely to be skilled in the art of negotiating Chinese bureaucracy or company culture. Public shows of dissent will not be welcome. CFA edicts in recent times included packing players off to military training camps and ordering their tattoos to be covered up. The average age of China's starting XI against Iran was 29 and theirs was among the oldest squads at the Asian Cup. Zheng Zhi, at 38, was captain and still a first choice in midfield. Some fans accused Lippi of not putting enough faith in younger players. Others countered that the Italian lacked quality talent to call upon. China averaged just over one goal a game under Lippi and he complained frequently about the dearth of striking options, blaming it on Chinese clubs' penchant for snapping up foreign forwards. Wu Lei is the exception, topping the Chinese Super League scoring charts last season with 27 goals for champions Shanghai SIPG. The next 16 top scorers were all foreign. If Wu does not fire or is injured, there are no other convincing options up front.